This fantastic silver brooch was designed by Geoffrey Bellamy for Tarratt the Leicester jewellers. 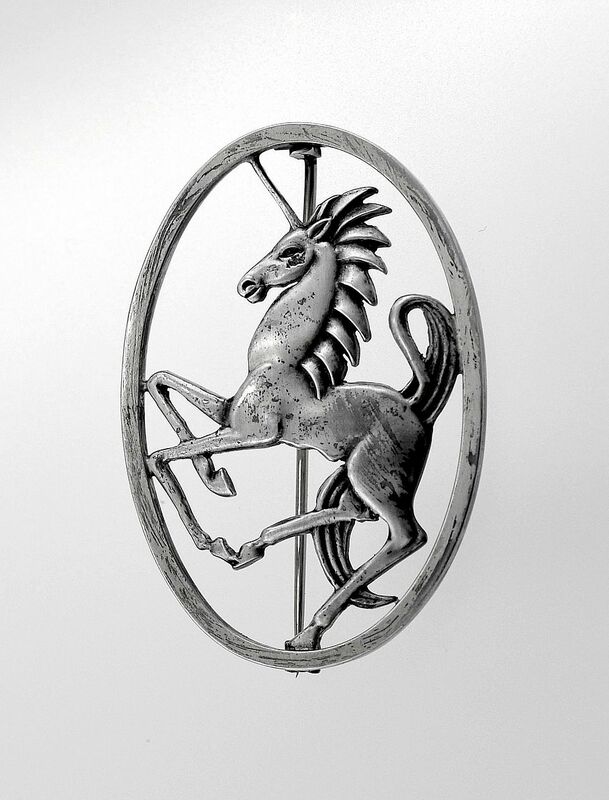 It is slightly larger than many of the other figural brooches and has a prancing unicorn within an oval frame. 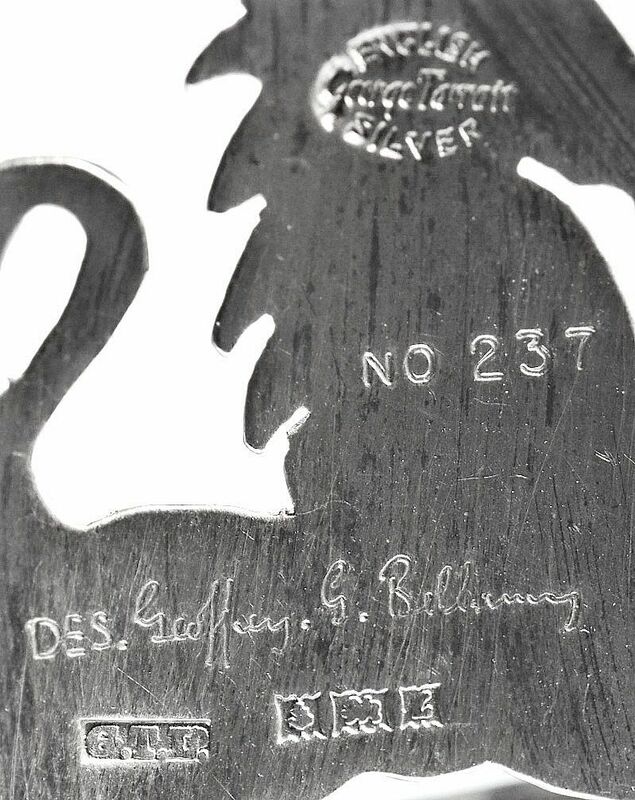 It is fully hallmarked for Birmingham 1960 and has Bellamy's facsimile signature on the rear together with the incised "No.237", which is presumably the design reference.